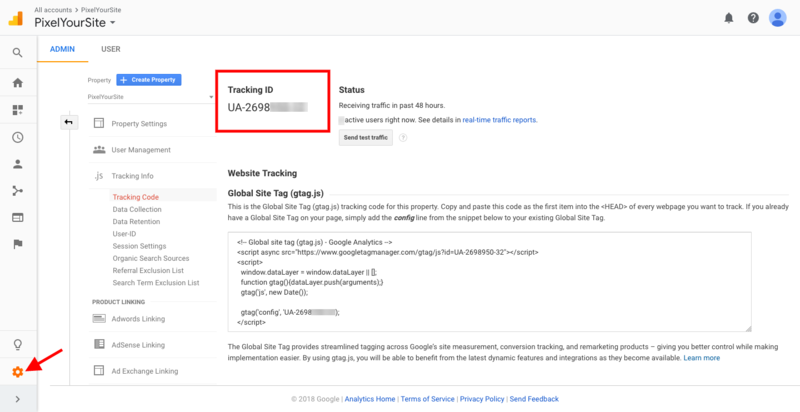 In order to insert the Google Analytics on your site you just need to add your Tracking ID in the dedicated field. 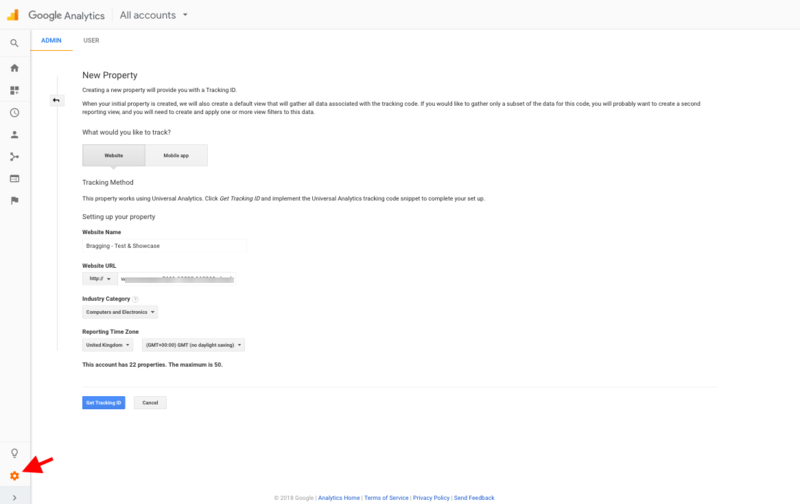 If you already have your website configured on Google Analytics, you can easily find your Tracking ID: Open your property admin by clicking on the small bottom left wheel. Under Property click on Tracking Info > Tracking Code. Copy the Tracking ID from there. If your website was never tracked by Google Analytics before, you’ll need to configure a new property. Open your account and click on Admin wheal in the bottom left corner. Click “+ Create Property” and fill the required fields: Website Name, Website URL, select the Industry Category and configure the Reporting Time Zone. 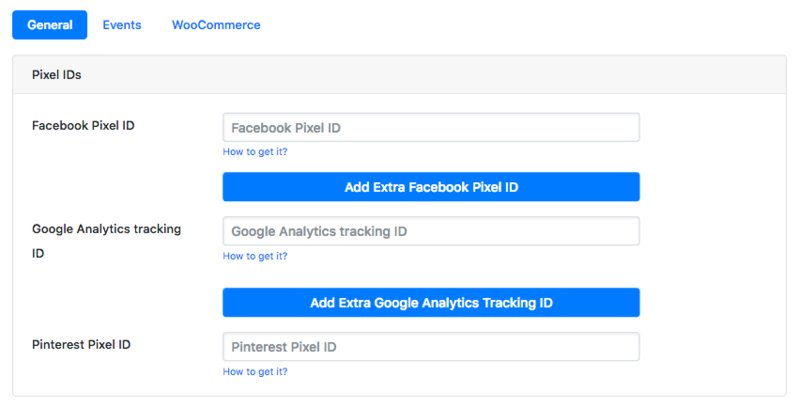 Once done, click the “Get Tracking ID” button.